Born in 1903 in Kassel in the State of Hessen, Germany, Stahl began drawing and working in water colors at the age of seventeen. He received his formal training at the Academy of Fine Arts in Kassel on a scholarship, with an emphasis on wood cuts. Stahl emigrated to the Netherlands in 1930 because of his active political involvement against the rapidly growing power of the National Socialists and their threats to ban his work. He found immediate acceptance in progressive art circles in Rotterdam and later in Amsterdam. 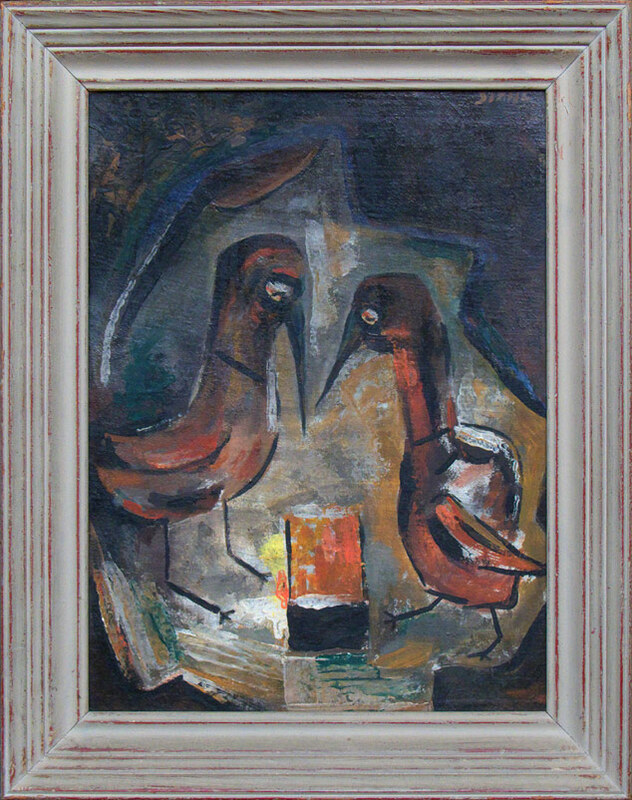 Extreme material hardship and the threat of war by the now well established Nazi regime not only affected his artistic development, but forced him into hiding after the German occupation of the Netherlands in 1940, that consequently led to a virtual standstill in his work. He was discovered and forcefully drafted into German army in 1943. He deserted to the Allied Forces half a year later during the Invasion of Normandy and was a prisoner of war of the British Army until 1947 when he returned to the Netherlands. During his stay in England, he was allowed to paint and travel to the Lake District for studies. The painting illustrated above was probably completed in England prior to his departure for the Netherlands, later that year. Stahl is represented with over 70 works in the State Collections of Hessen (Staatliche Kunstsammlungen Hessens) in Kassel, Germany.